beautiful sky and light! great shot, Luis! Very beautiful composition, nice sky Luis ! 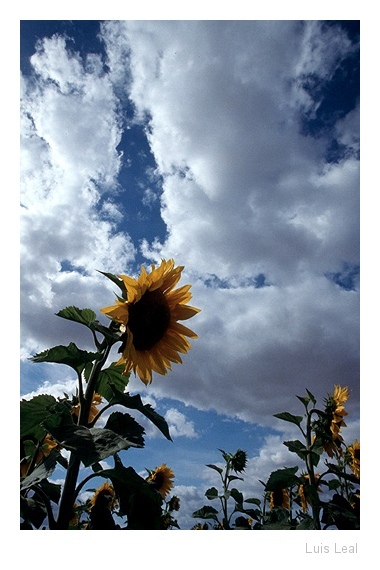 Great point of view of this sunflowers and an absolutelly gorgeous cloudy sky. This is truely beautiful. Congratulations Luis. Beautiful composition with wonderful light, colors and sharp details - Great shot again!